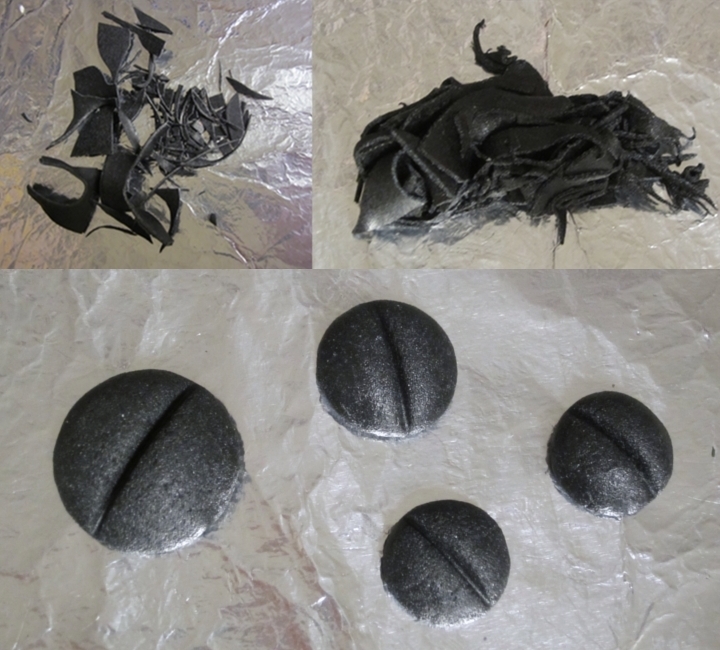 The following is a basic breakdown on using either Worbla’s Finest Art or Worbla’s Black Art to make Automail from Full Metal Alchemist. 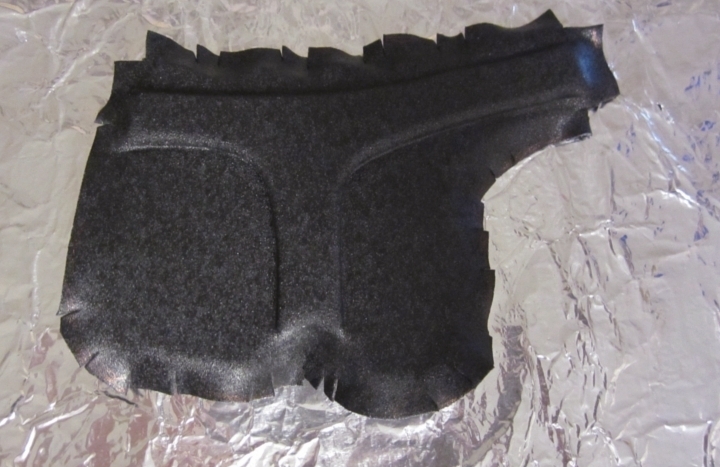 In this tutorial, I illustrate the basics of using Worbla’s Black Art and/or Worbla’s Finest Art. 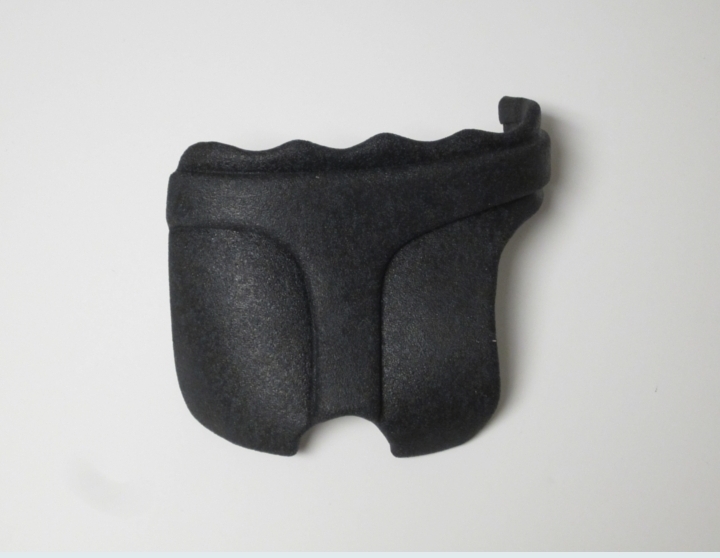 These two materials are thermoplastics, which can be heated up and shaped however you want. For a breakdown of the differences of the two materials, check out my comparison here. 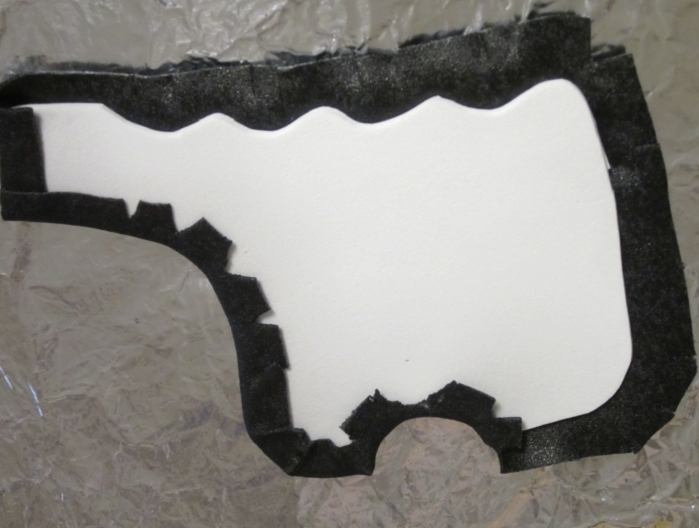 Step 1: Cut out your project patterns out of pieces of craft foam. In this particular project, I am making armor, but you can make almost anything. I have also successfully used pieces of cardboard, model magic, and other things as a base for Worbla. 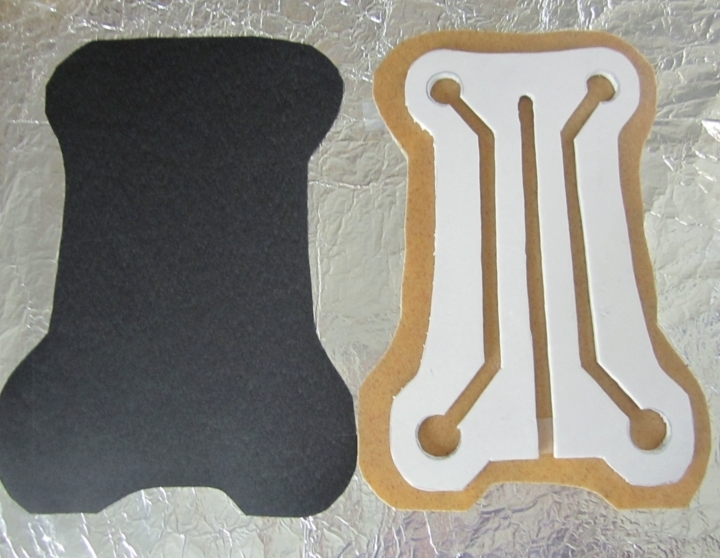 Step 2: Cut out two pieces of Worbla’s Black Art or Finest Art slightly larger than your craft foam pieces so that they have a “seam allowance.” To conserve on the amount of Worbla’s Black Art that I had, I decided to use black on top and regular on the bottom. Here you can see how there is going to be a layer of plastic on top and bottom. You are going to sandwich the craft foam piece with Worbla, so it is encased in plastic. 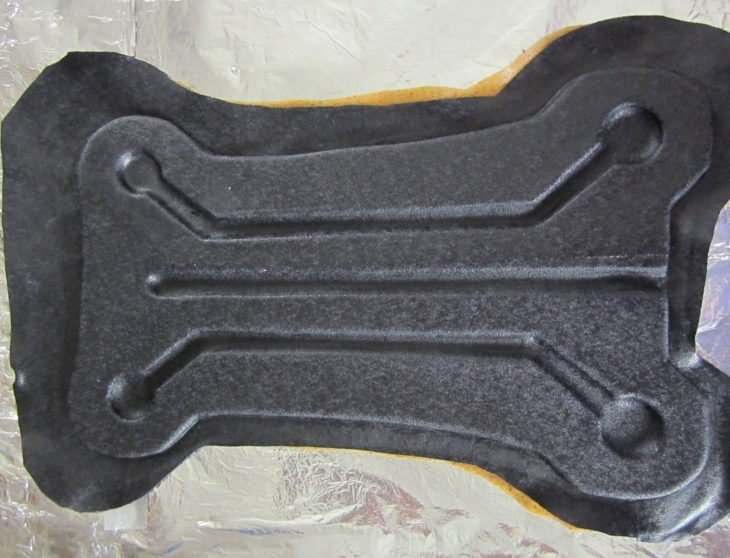 Step 3: Before sandwiching, I personally think it is easier to emboss any detailing first when using Worbla’s Black Art. 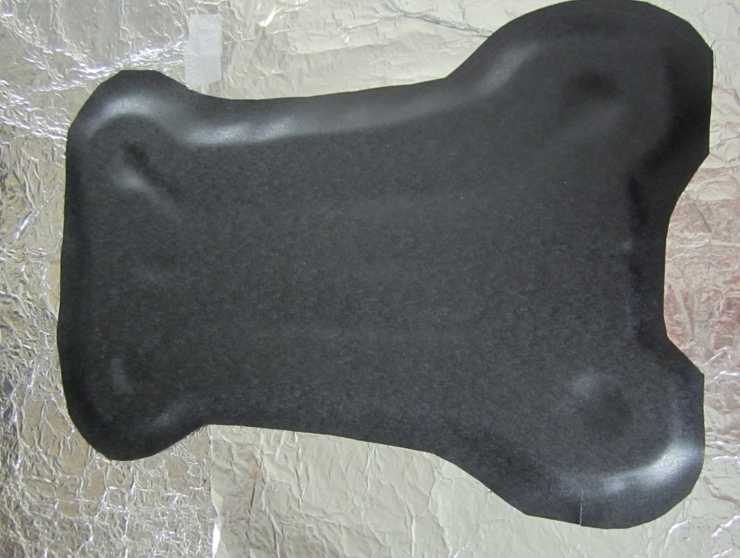 To do this, gently heat up only the top piece of plastic while it is sitting on top of the craft foam. 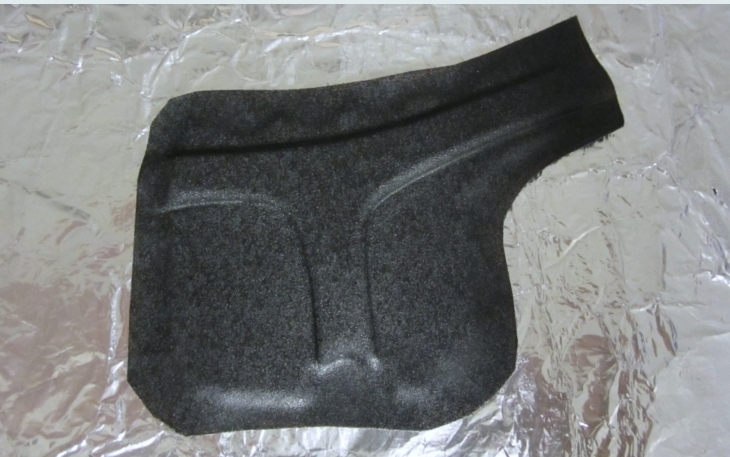 After it becomes soft, stretchy and pliable, use your fingers and/or your sculpting tool to emboss any designs or detailing that you have on your craft foam piece. Step 4: After you are done embossing the details, heat up the edges of the top piece and the entire bottom piece. Stack the two on top of each other and press firmly to fuse them. Use your sculpting tool around the edges of the craft foam piece to create nice, crisp lines. Trim off the excess material and smooth the edges. Step 5: If the project you are making needs to be curved in any way, now is the time to do it. Carefully heat up the entire piece and form it over a found object or yourself. If you have multiple separate pieces that need to be connected to each other, just heat them up and stick them together! 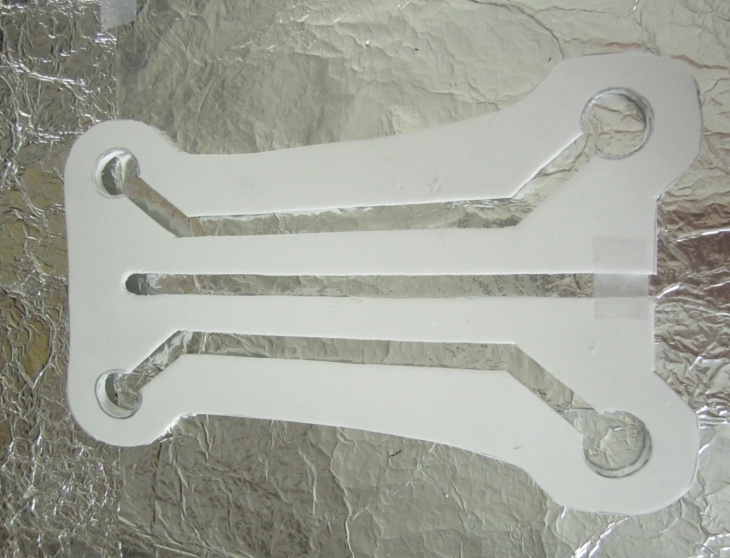 The plastic will fuse and make a near permanent bond. Step 1: For this method, you only need your craft foam piece and one piece of Worbla’s Black Art/ Worbla’s Finest Art that is a bit larger than the craft foam. Step 2: Like in the first method, heat up and emboss any detailing now. Step 3: Cut tiny slits on outer edges of the plastic. Leave at least 1/4 allowance between where the slits end and the craft foam begins. Step 4: Heat up the edges, flip the entire piece over, and fold the edges onto the back. 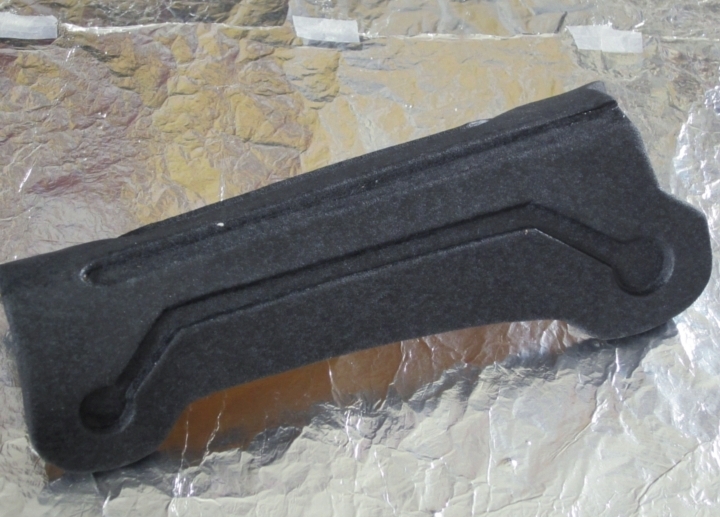 Worbla’s Black Art doesn’t adhere to craft foam as well as Worbla’s Finest Art, so it might take a bit of extra effort to get the edges to stay. Use your sculpting tool to smooth the sides and edges. Step 5: After you are done folding the edges over, you can shape and curve the entire piece however you want. For this particular piece, I formed it around the palm of my hand. 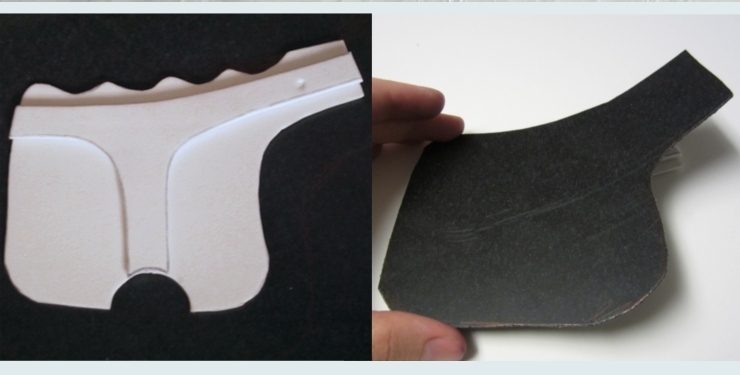 Whether you are using Worbla’s Black Art or Worbla’s Finest Art, always save your scraps no matter how tiny they are! You can heat them up, smash them and sculpt them. I sculpted all of the bolts and screws for Ed’s automail using scraps. That’s it for this tutorial! I hope you found it helpful, and feel free to ask questions or make suggestions for improving this tutorial. I am documenting the entire process of making my Worbla automail, so you can expect to see tutorials specific to this build soon. Thanks again to Rinkujutsu for sharing this tutorial with us!